Do you use a toner every day? Have you been told it's an essential step in your skincare routine? I've had a number of clients asking me this question lately, so let's cut through the hype/marketing and figure out if you really need to be using a toner. A little history: Back in the day, when cold cream was the norm for removing makeup, toner played an important role. The cream could not be tissued off completely, and a toner (involving alcohol or witch hazel) was necessary as a second step to remove the film left by the heavy cream. 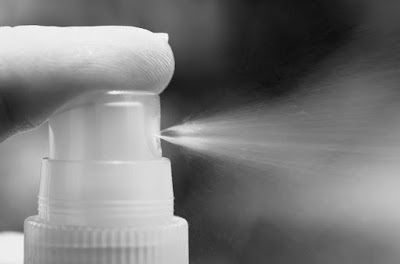 The marketing hype: Today you still hear about the absolute necessity of a toner in order to "restore the pH balance of the skin" before the application of other products. The skin's pH (potential of hydrogen) refers to the alkalinity or acidity of the skin's surface. If the skin's barrier is too alkaline, it can result in sensitivity, dryness, even a dermatitis-like reaction in some skins. Product penetration can be hampered by the film left by super-alkaline cleansers as well (think bar soap). My issue with this claim? Often this is marketing jargon used simply to sell more product - read why below. Precautions: Be careful about formulations. There are still A LOT of toners out there with high levels of SD alcohol or isopropyl alcohol. Unless in a dose-specific treatment toner for very oily, or acne-prone skin, I never recommend alcohol in a toner. Why? It can strip surface lipids, dry you out, and cause irritation. Be careful not to confuse the drying alcohols with fatty alcohols like stearyl alcohol and cetyl alcohol which serve as emollients or thickeners in many formulations. I can't tell you how many times I've pulled clients off a drying, alcohol-laden toner and had a myriad of problems disappear. Do you have one of the conditions listed above? I personally include a face lotion/toner in my programs for acne-prone and clogged-dehydrated skin as I've found them truly beneficial. If you're not dealing with one of those conditions, there are plenty of other products that can deliver performance ingredients. Who's suggesting it? Is the same toner suggested to every person regardless of skin type and condition? (Red flag!) What about time and budget? I really do believe in customizing your home care routine, and a program that works is the one that you do. Do you like using one? Some people just love toners and face lotions, and as long as it's well-formulated for your skin type and condition, knock yourself out. I hope this helps you navigate the waters (pun intended)! As always, feel free to reach out if you have any questions through this blog or at jill@jjodar.com.